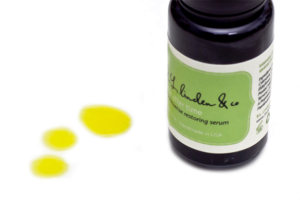 Time After Time – Frankincense Restoring Serum | r.l. linden & co. Intensive herbal healing serum for combination, dry, damaged, scarred and blemished skin types. Apply several drops of serum to damp skin at night, massage in gently.